Last August, New Orleans weathered one of the worst flooding events since Hurricane Katrina, a record-breaking rain that tested the city’s pumping and drainage system. Within a year, New Orleans has made huge strides toward rebuilding its civic infrastructure with the help of Sewerage & Water Board of New Orleans (SWBNO) and other city agencies. 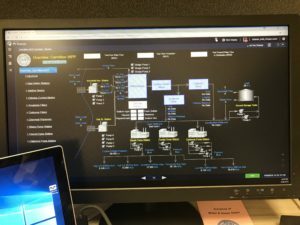 In that time, the new data management system she helped roll out gives city officials a real-time, birds-eye view of municipal drinking water and drainage facilities. Dey-Sarkar has also supported the agency through multiple boil-water advisories — government-issued directives to consumers when drinking water may be contaminated — and four major rain events that threatened the city with flooding, helping the agency monitor flooding and communicate critical data. Contending with these and other challenges has yielded some important insights about how cities can rebuild after an infrastructure crisis. We asked her to share some of the lessons she’s gleaned. 1. Set priorities and focus on them relentlessly. Managing a crisis involves tackling many urgent problems at once with the involvement of multiple, overlapping agencies, so it’s important to establish priorities upfront and continuously reinforce them. In New Orleans, three unwavering priorities — addressing power and pumping failures, ensuring the reliability of power turbines, and resolving staffing shortages — guided the city’s long-term recovery efforts, helping to align stakeholders and direct resources. Nearly every meeting centered around these priorities, in part because a handful of city leaders continuously sought updates about their status. In 10 months the city was able to address several years’ worth of unfunded maintenance. There has not been a significant flooding event despite multiple heavy rain events since last summer, due to this effort and focus. New Orleans’ old turbines continue to generate power for the drinking water and drainage systems. One of the most resilient turbines in New Orleans today was built in the late 1800s. 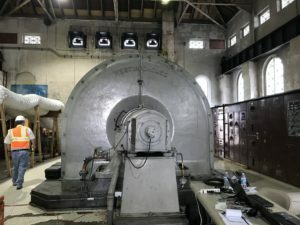 The museum-worthy turbines from more than a century ago are still capable of powering the drainage operations of nearly 50,000 cubic feet per second of water across multiple drainage basins. Not only is it prohibitively expensive to purchase a new set of turbines, the assumption that old equipment is inherently less resilient than newer, shinier models doesn’t always hold. What often matters is how skillfully equipment is used and how regularly it is maintained. The drainage system in New Orleans, for example, needs constant maintenance and updating. Complicating matters further, the agency must carefully time maintenance calls so that equipment isn’t out of commission in the event of, say, a massive rainstorm. Rather than outdated equipment, often the problem is lack of resources (money and staff) and competing priorities (operation versus maintenance). Rather than spending money on new equipment, finding solutions to addressing resources and establishing priorities has been New Orleans’ key to drainage system stabilization. In the immediate aftermath of a crisis, government agencies at times bring in outside contractors to support or even spearhead recovery efforts. In some cases, these outside contractors have little to no connection to the people or places affected. Internal staff, in contrast, are usually part of the community and must personally contend with the consequences of infrastructure breakdowns. That connection to those affected by the crisis can be a powerful force in recovery efforts. What’s more, when problems or questions arise, frontline staff are often the best equipped to answer them. Before engaging contractors or escalating issues to staff higher up in the organizational hierarchy, doing a robust review of current staff in those roles, and taking stock of the institutional knowledge can help determine the right approach. Most of the staff have years, if not decades of on-the-job experience working in that agency and can clearly articulate the city’s needs. 4. Communicate challenges as openly as possible—including to the media. 5. Acknowledge that sometimes infrastructure has its operating limitations. A boil water advisory, same week as this misinformed article comes out! Where’s Priya to save SWB? Nowhere to be found as usual. You should check your facts before posting something so insultingly inaccurate.